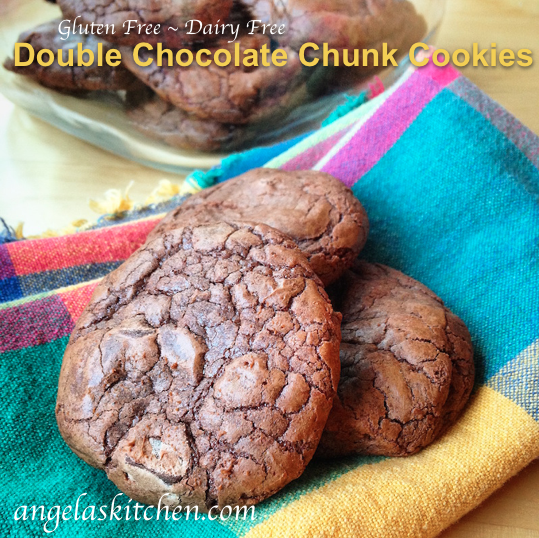 I’m going to toot my own horn for a minute… Double Chocolate Chunk Cookies are the BEST chocolate cookies EVER! 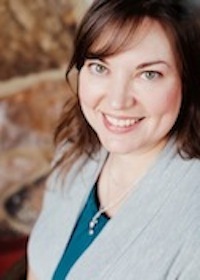 (Cue dancing in the kitchen here…) Ok, I’m back. But, honestly, these cookies, with their perfect chewy edge and soft center, intense chocolate flavor and large chocolate chunks are just the thing when chocolate craving hits. The little punch of spice is optional, but I do recommend trying it. The warmth really balances the rich chocolate. 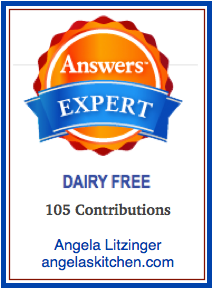 All that AND they are gluten free and dairy free. I’m telling’ ya – it’s cookie heaven! Rich and creamy, avocados are packed with protein, which helps keep your energy up and hunger at bay. While it is true this fruit is higher in fat, it is the beneficial monounsaturated kind that helps increase the “good” HCL cholesterol and helps you feel satiated long after being eaten. Published on Snap Fitness a month ago with servings figured for 4. 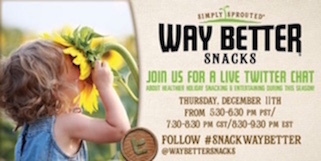 Edit: I’m linking this up to the February 18, 2015 Gluten-Free Wednesdays at Gluten Free Homemaker. Check out what others have shared! In a small bowl whisk together olive oil, red wine vinegar, lime juice and minced garlic. Season with salt and pepper to taste. In another bowl combine black beans, mango, tomatoes, orange pepper, cilantro, and onion. Drizzle with olive oil mixture and toss salad until everything is evenly coated. Serve immediately or cover and chill until ready to serve. To serve: Cut avocados in half. Remove pit. 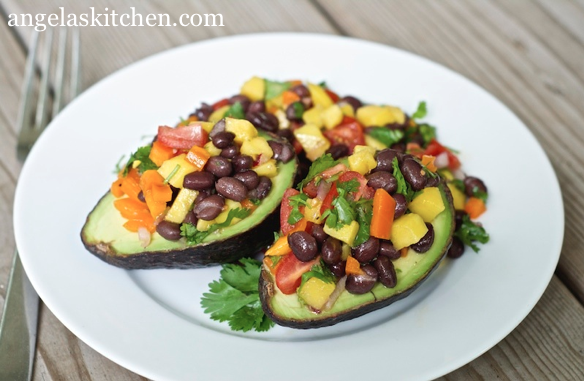 Place avocado halves (2 halves per serving) cut side up onto four plates. 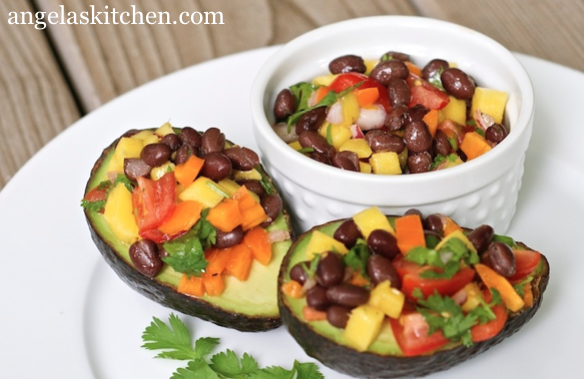 Scoop one forth of the black bean mango salad per serving onto avocado halves, allowing remainder to be served on the side. 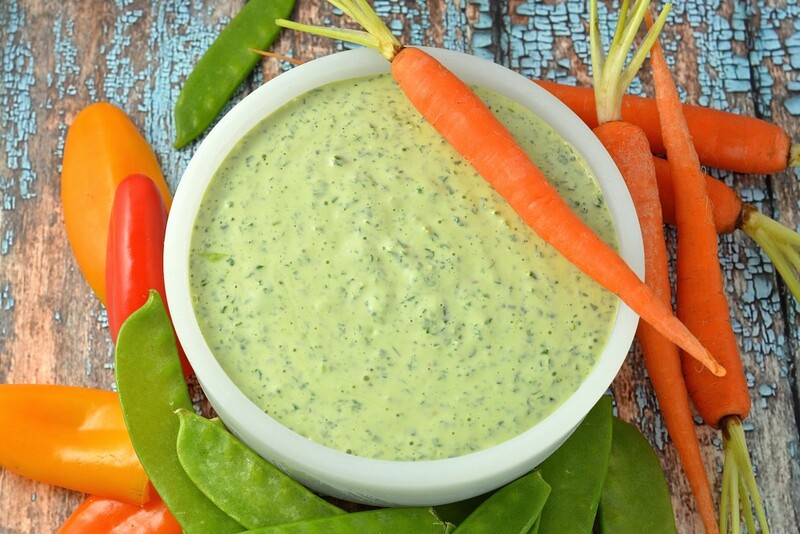 Creamy and packed full of herbs, Green Goddess Dip is a fresh addition to your table for Spring. Thin it a bit with a tablespoon or two of dairy free milk substitute and you have a delicious dressing to top a salad. Hope you enjoy! After washing the herbs, spin them dry in a lettuce spinner or shake off excess water. Extra water on the herbs will thin the dip. Place all ingredients into a food processor or blender and pulse until herbs are finely minced and dip is creamy. Cover and chill for at least 30 minutes, up to overnight, to allow flavor to develop. 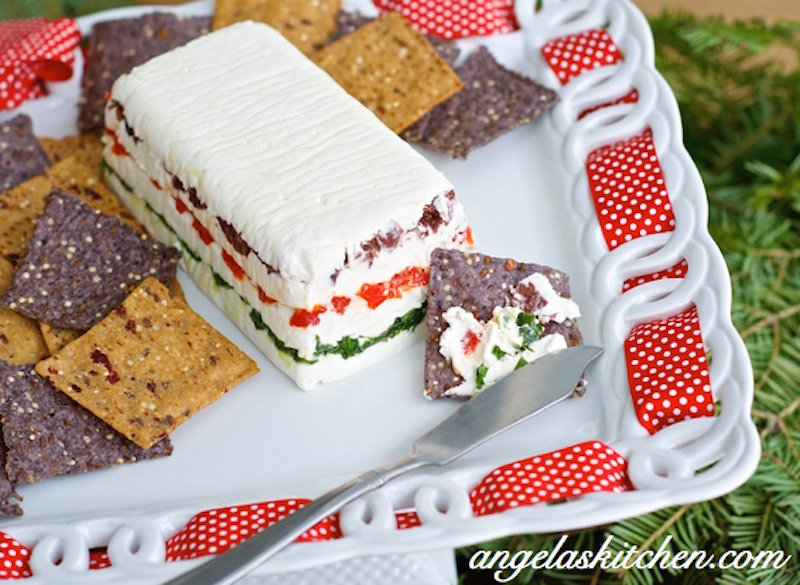 Serve dip with veggies or as a dressing over salad. So good and so easy! Sometimes the best recipes come from just tossing together what you have on hand. Yep, I could have added some green veggies to the dish, but we like this as it is. Just serve it with a big salad and you’ll be good to go. 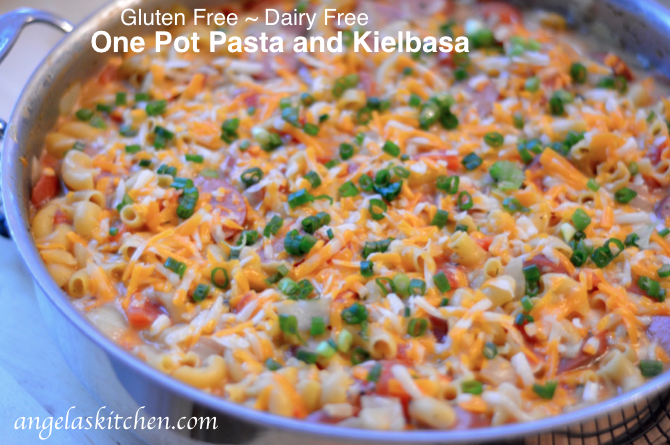 I am also using this dish for Gluten Free-zer Friday, as the leftovers (it makes a BIG pan) can divided up and tucked into the freezer for future lunches. Add olive oil to a large skillet over medium-high heat. Add onions, kielbasa and garlic and cook it until translucent. Add chicken broth, tomatoes, coconut milk, Italian seasoning, salt and pepper. Bring to a simmer. Add gluten free pasta, submerging pasta into simmering liquid. Simmer for 15 minutes, or untill pasta is tender. Remove skillet from heat and stir in 1 cup cheese substitute. Top with remaining cheese substitute and sprinkle with sliced onions. Cover and let sit for a couple minute until cheese substitute is melted. To freeze: Allow to cool. Divide into freezer safe containers, cover, removing as much air as possible, label and freeze. Young, unsprayed dandelion greens also work really well in this recipe giving a nice lemony flavor to the salad. Replace the kale with the coarsely chopped greens, but do not cook with the potatoes and green beens. Instead, after draining, but before cooling gently stir in dandelion greens allowing them to wilt. Add dressing and follow the rest of recipe as described. You can also add crispy crumbled bacon and serve this salad warm for an updated Warm German Potato salad. Add one teaspoon sugar or honey to the dressing. In a stock pot, cook potatoes in boiling water, covered, for 10 to 15 minutes or until tender but not falling apart. Add beans and kale to the last 3 to 5 minutes of cooking. Drain well. In a medium bowl stir together oil, vinegar, rosemary, salt, and pepper. Add to potato mixture. Toss mixture gently. Chill, allowing flavors to combine. Stir in onions. Serve while still slightly warm, at room temperature or well chilled. 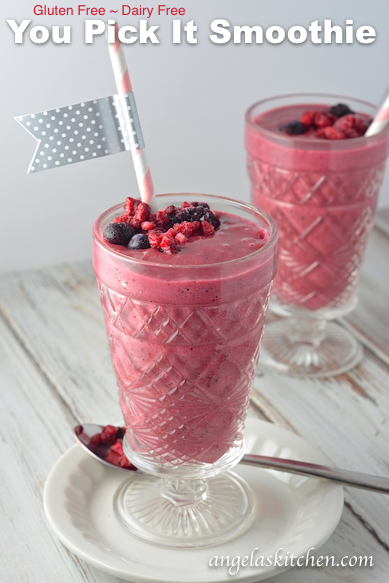 Creamy, fruity and oh, so good! 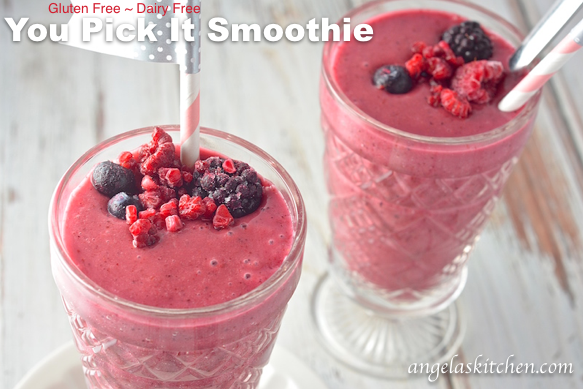 You Pick It Smoothie is a dairy free, delicious treat no matter what fruit or juice you pick to make this frosty treat. You can make this a vegan dish by not adding the meat, increasing the mushrooms to 12 oz and using portabella mushrooms (much more substantial texture and flavor). If gluten free pasta is not cooked yet, start cooking that first while starting the rest of recipe. When pasta is cooked, drain and rinse in cold water to stop pasta cooking. Set aside until needed in recipes. Precook ground beef and drain grease, if using. If using stew meat, heat oil over medium-high heat, add beef and cook until browned. Add onion and saute 3-4 minutes. Add mushrooms, saute 3 minutes. Add garlic and saute 1-2 minutes more. Push meat and vegetables to edges of pan. Add oil to pan. Add seasonings and sweet rice flour and stir to incorporate flour into oil, browning it slightly – mixture should become very thick. Slowly add broth while stirring with a whisk to evenly incorporate, then slowly stir in milk substitute while continuing to stir until mixture is smooth and cooked to desired thickness. (You can add more milk or broth if you would like a thinner sauce, or increase sweet rice flour for more thickness). 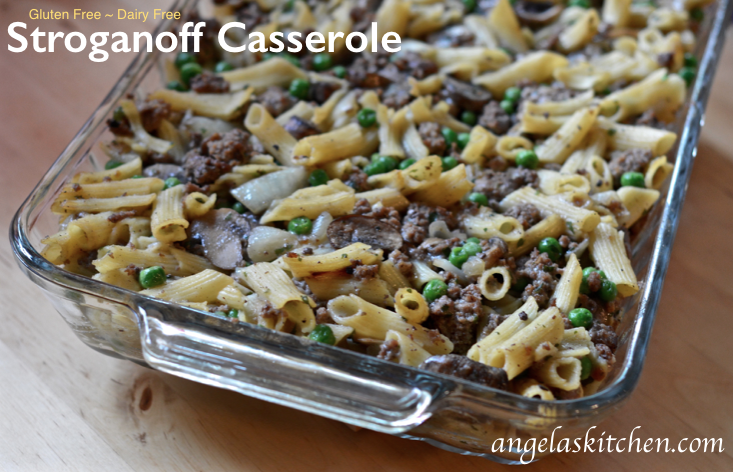 If serving right away, stir in soy sauce, cooked pasta and peas. Continue to heat stirring occasionally until everything is heated through. To freeze: Follow recipe through cooking sauce until thickened. Then remove pan from heat. Stir in soy sauce, cooked pasta and peas. Pour into 2 deep dish 8"×8" pans or one 9"x13" pan. Cover and wrap well. Label and freeze. To serve: Thaw. Cook in 350 degree oven until heated through (approximately 30 minutes), removing foil for last 10 minutes of cooking.